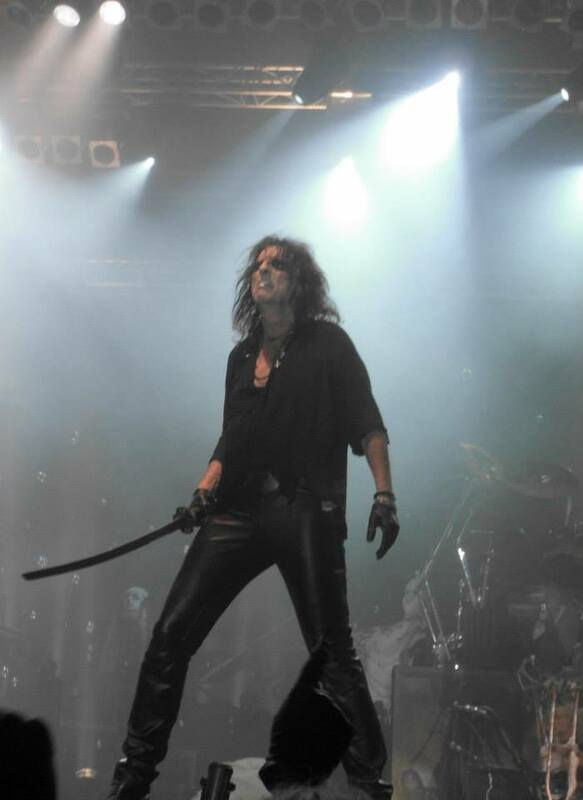 He's back ... Alice Cooper visited Lichtenfels during his "Raise The Dead Tour" on August 4th, 2013. 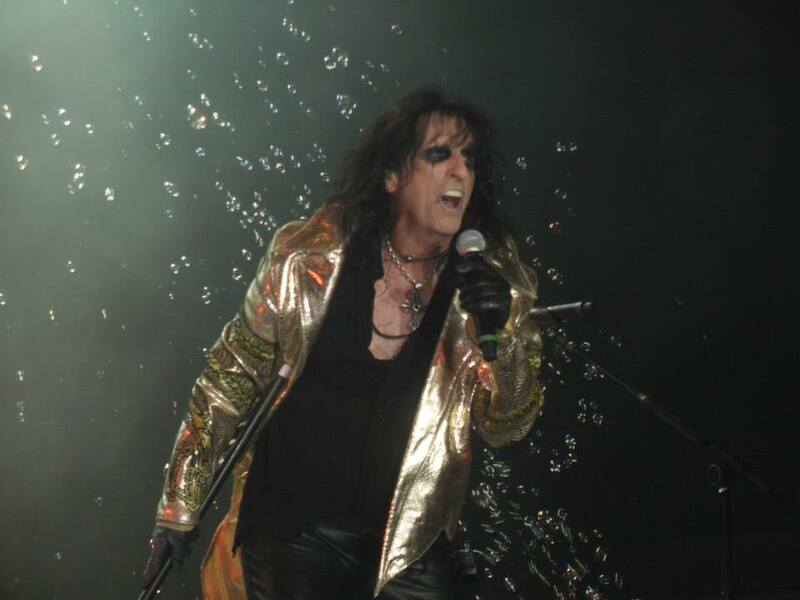 Alice Cooper influenced generations of musicians and fans with his shock rock and theatralic shows. No doubt, he is one of the last living legends in rock and with his 65 years he is still full of energy. 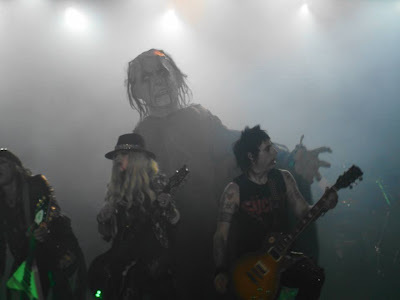 It was the second time I saw Alice live on stage. In 2010 I attended his "Theatre Of Death Tour" and I was blown away. So now three years later the show has changed a bit, but later more on that. Let's start with the support acts. The first band of this evening was Dr. Woo's Rock'n'Roll Circus - a local band doing just cover songs, for example "Paradise City", "Jukeboxhero" and many more. They spread good vibes with a solid performance, but they never topped the original songs. Nevertheless, one of the best cover bands I've seen so far. The main support act was the British band Neonfly. I won't write much about them in this article, because a live report from their headliner show in Nuremberg is on the way ;) So, there you'll get detailed information about their skills on stage. I can only say they really rocked in Lichtenfels. With their melodic/power metal they totally hit the spot and the stage performance was pure energy. So, after two very good support acts the master himself entered the stage. Damn, Alice has such a gigantic presence, I'm speechless. His voice is still great and he didn't lost anything of his fascination in all those years. Maybe this is the reason why many of the 2.000 fans at this evening were very young. Most people were up to 30 years old ... and older, but also people under the age of 20 years attended the show. That really surprised me and it shows that Alice Cooper is a phenomenon across generations. The Master had lots of surprises in his setlist: "Hello Hooray", "He's Back (The Man Behind The Mask)" or "House Of Fire" were rarely played in the last years. Of course all his hits like "No More Mister Nice Guy", "Department Of Youth", "Hey Stoopid", "Billion Dollar Babies" and the smash hit "Poison" were also played and made the whole crowd sing along. I noticed that the show focused more on the songs and performance this time, instead of theatralic elements. Let me explain this to you: On his "Theatre of Death Tour" everything was just about show, show, show ... Alice was killed four times, with every song another stage element was introduced, so the music itself fell a bit into the background. This time Alice performed one song after another without these things for half of the setlist. For sure he used his utilities like a saber, rapier or whip on each song, but that's it. At this time Alice threw so much stuff into the crowd: pearl necklaces, dollar notes (with his face), sticks, and so on. Also the band had a large loss of picks. The more theatralic aspect of the show (Alice Cooper is known for) started with the song "Feed My Frankenstein" were Alice was wearing a bloodstained jacket and a gas mask. 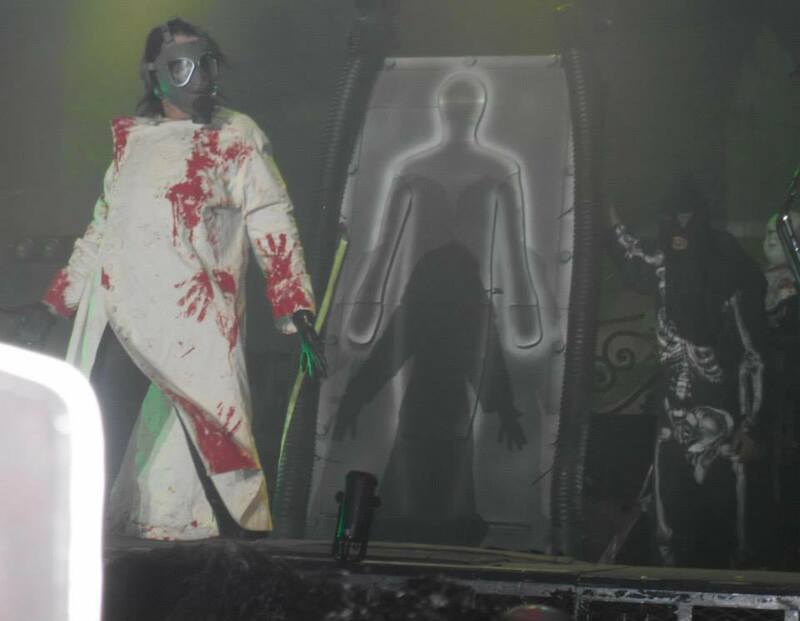 During the song they put him in a machine and he transformed into a gigantic Frankenstein monster. That was really crazy to watch. Right after this the traditional nurse took him in a straitjacket and the song "Ballad Of Dwight Fry" started. Next step was something everybody was waiting for: Alice's decapitation by a guillotine. This was another higllight from so many. But of course, Alice wouldn't be Alice if he couldn't cheat death and returns to the living. Before that the band showed their skills. All musicians are very talented and rocked the hell out of this place. Especially the female guitar player Orianthis grabbed my attention: First of all she looks hot and of course she is a gifted guitarist with a great presence. This is no surprise, because she performed already with Santana, Eric Clapton and Michael Jackson. 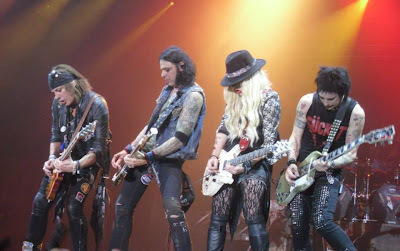 By the way: all musicians had a cool clothing style and Alice himself looked also very crazy in his leather jackets, coats and hats. The whole styling and make-up was just perfect. A true freakshow. So right after his resurrection Alice raised the dead - that means: John Lennon, Jimi Hendrix and others. He remembered them with four cover songs ... and this is the only negative point I have to notice, because to me there were too much covers. I know Alice is recording a cover album right now and it makes sense to perform a few songs of it, but the master has so many great tunes in his own back catalog. I missed some hits like "Only Woman Bleed", "I'll Never Cry" or "Elected". Nevertheless the crowd didn't stop partying and cheering. 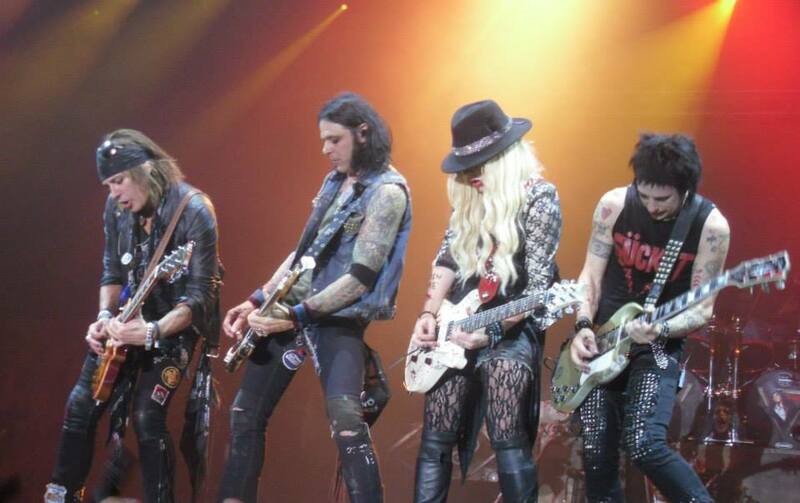 The show found its climax with the encore and last song "School's Out" - a true smash hit. With this track sparks lighted the stage and the whole venue was full of confetti, streamers, bubbles and huge ballons. What a spectacle! In this moment I just knew why Alice Cooper is one of the best entertainers of all time. 100 minutes of timeless rock classics, great musicianship, crazy show elements and a strong performance by the master proof this. 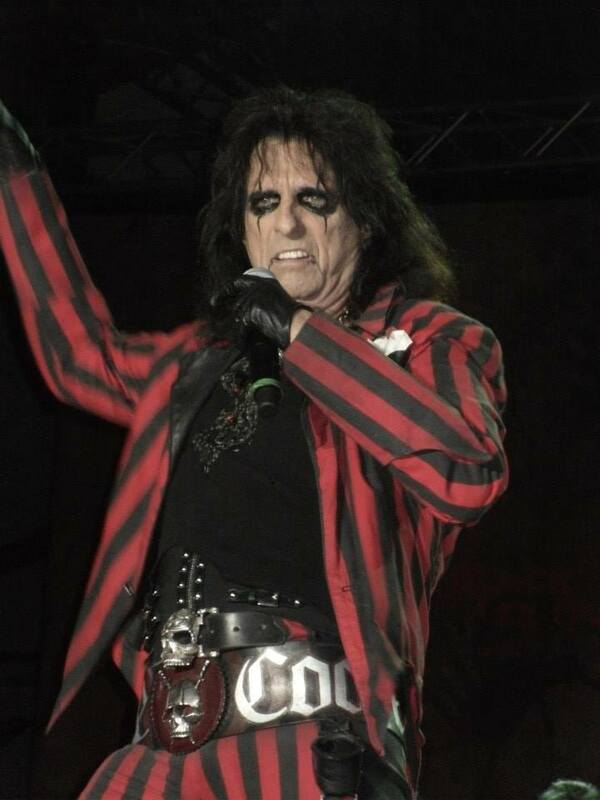 Ladies and Gentleman, whether old or young ... if you get the chance to see Alice Cooper live, just do it! Buy a ticket and you'll get an amazing Rock'n'Roll show, like you never seen it before. Alice, I hope you'll stay with us for some more years!